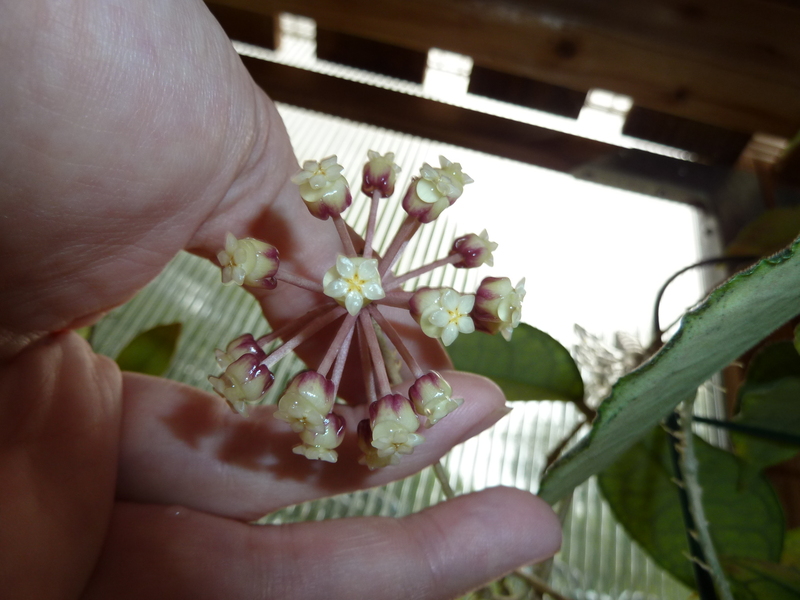 Hoya finlaysonii originates from Penang in Malaysia. 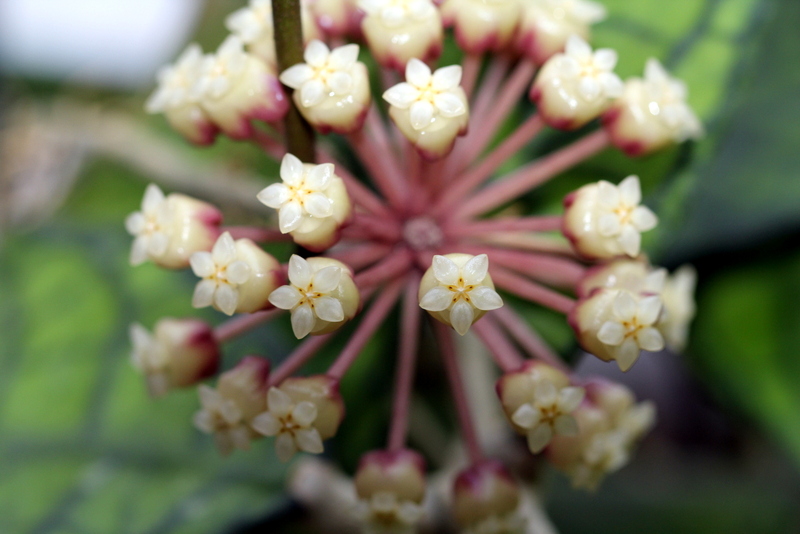 It is named for one of the collectors who discovered this wonderful plant. 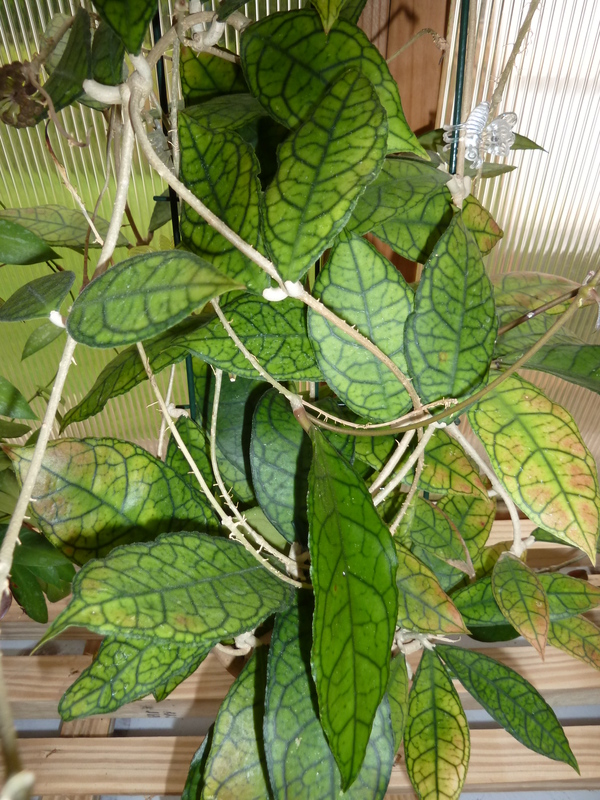 Hoya finlaysonii can be grown only for the spectacular leaves. They are light green with dark green veins making a beautiful pattern. The leaves are thick and very hard. I grow this plant very wet and warm and humid. It flowered for me three years after starting it from a cutting. A great looking plant that will brighten up any room. The flowers are very short lived. I think this is a plant that everyone should have in their collection.